Communicating with and understanding dogs builds trusting relationships, and relieves frustration and improves lives on both ends of the leash. Apart from simply reading canine body language, this book explores the juncture between hearts and minds where true understanding begins. It takes a light-hearted, yet earnest approach to exploring how to connect with dogs. 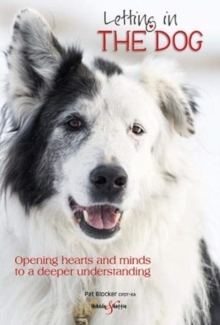 Each chapter features amusing, thought-provoking anecdotes and illustrations that show us how dogs are our teachers, and how, by connecting with them, we learn how to connect with ourselves. This book helps us find the intersection between the academic and the spiritual for better communication with dogs. It's about having an effective two-way conversation; it shows us how to talk with our dogs instead of talking at them. The intuitive side of communicating with canines in conjunction with the intellectual side is also investigated: in this space, we build trust, respect, and better relationships, and human and canine lives are enriched. Come walk with us on our journey.